Upcoming Movies You Can’t Miss! As predicted, it will be an exciting year for films so we’ve assembled our Febuary guide to the latest upcoming movies! If you’re a smooth operator in the love department, we advise you to see newlyweds Mr. and Mrs. Grey this Valentine’s Day weekend. In FIFTY SHADES FREED, new threats from their old past could continue to hinder their intimate connection, but as we’ve seen with its prequels, war can make love...pretty exciting. A must-see heroic story comes from Clint Eastwood’s THE 15:17 TO PARIS, which follow 3 brave men whose quick actions saved many lives from the terrorist attack on Thalys train #9364 bound for Paris. If you want more thrills, be sure to check out ANNIHILATION, a biologist discovers that laws of nature don’t apply in this dangerously freaky expedition. Don’t leave your kids at home this month because there are movie screenings for them too! If your little ones are rebels and rascals, take them to see the rabbit - PETER RABBIT - that is. In this ridiculously cute movie, Peter Rabbit competes for the affection of his animal loving next door neighbor. There is also Nick Park’s stop motion animation of EARLY MAN, where caveman Dug and his trusty sidekick Hognob fight to survive against their most powerful enemy, the Bronze Age! If you are in a pinch for a good Valentine’s Day gift, our latest sweepstakeshas you covered! With our latest sweepstakes, you can give your darling the best present ever and the expense will be on us. For a terrific evening for two, we have our AMC Gift Card sweepstakes. The winner will receive $50 worth of credit at AMC Theaters, where you and your date can experience everything AMC style from spacious rocking seats to luxury recliners, innovative menus and premium offerings like IMAX, Dolby Cinema, and Prime at AMC. It’ll be a lovely night filled with popcorn and blue ICEE drinks. Relive the good times with this next sweepstakes because we are bring your love back to the 80’s. 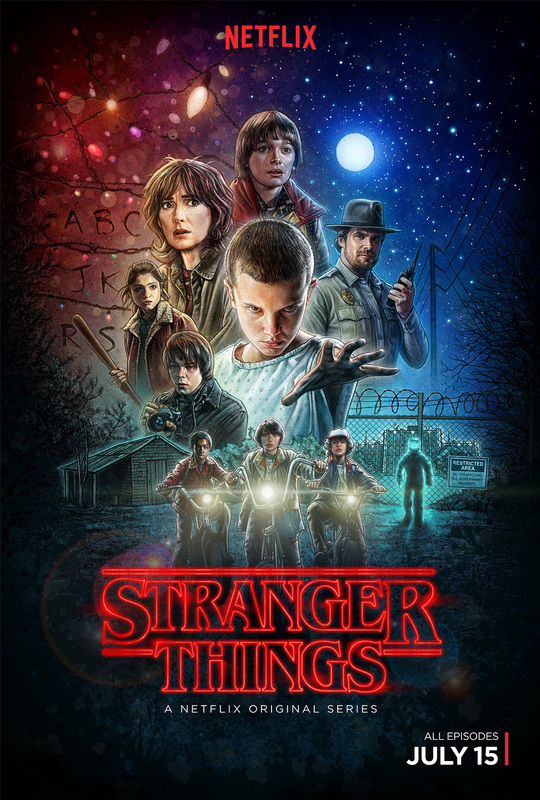 In the STRANGER THINGS Sweepstakes, the unlucky winner will be reminiscing about the arguably best decade of the 20th century with a Funko POP! Stranger Things Character. Of course, if you don’t agree with us, you and your significant other can debate about how great the 80s really were over some Eggo’s Waffles at breakfast. Now that’s romantic!